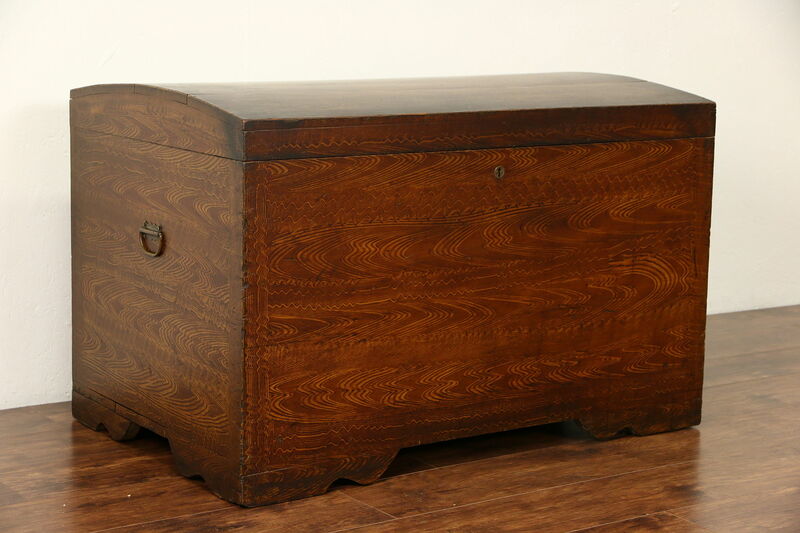 An immigrant trunk or blanket chest was brought from Sweden to Minnesota in the 1870's. The original grain painted "feather" finish has just enough wear for a little antique character. Solid pine with a "dome" top, corners have hand cut dovetail joints, the top is attached with wooden pegs. There are shrinkage separations from age, see photos. The lock has no key on this European antique furniture. Inside is a small compartment for valuables. Size is 41" wide, 27" deep and 27" tall.